The first company in the world to make quartz watches commercially viable was Suwa Seikosha Co., Ltd. (now known as Seiko Epson Corporation). The unrelenting efforts of the company's engineers resulted successfully in a drastic reduction in the size of quartz devices, a truly amazing technological accomplishment. Although many people may be aware of the facts mentioned thus far, virtually no one knows about the engineers' struggle that ensued thereafter. 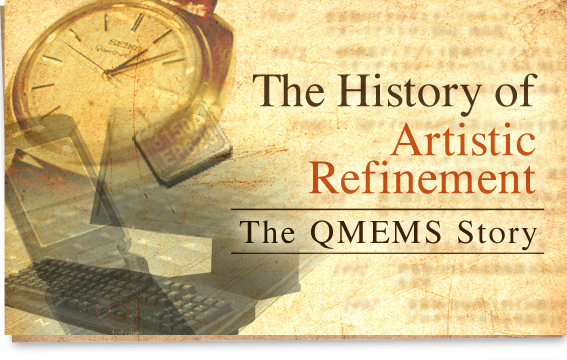 Development efforts continued steadily even after the quartz watch breakthrough, resulting in the successful creation of 'QMEMS,' the unique technology at the heart of Epson Toyocom Corporation. This multi-part series is a written tribute to the engineers' efforts, from their creation of the quartz watch through to the present day.